MOSCOW. 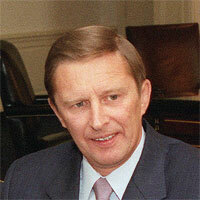 Oct 31 (Interfax) – Russia will be able to develop further only if it remains committed to the principles of continuity, historical memory and its traditions, presidential chief-of-staff Sergei Ivanov said. “Russia’s further development is possible only if the principle of continuity is followed. A rift affecting historical memory, traditions and conflicts of epoch and generations, which is the inevitable result of different upheavals, is extremely dangerous and ruinous,” Ivanov said at the 17th World Russian People’s Congress at Moscow’s Cathedral of the Christ the Savior on Thursday. “One must always remember that for many centuries our people and our forefathers strengthened Russia’s power and magnitude by word and by deed. And their experience convincingly shows that Russia achieved breakthroughs when the state was truly strong and capable to act effectively, when its society rallied around some major goal, shared concern or some shared responsibility guided by the energy of solidarity and joint work,” Ivanov said. “The Russian nation and Russian culture have always played a special role. However, this fact by no means lessens other ethnic groups’ contributions to Russia’s strengthening. On the contrary, it only serves to highlight the complexity and diversity of our multiethnic society with its Russian core,” Ivanov said. “Maintaining and further developing this centuries-old system, which has always relied upon cooperation, mutual respect and the unity in diversity principle, is a priority of measures intended to further enhance our country’s strength and promote its prosperity,” he said.